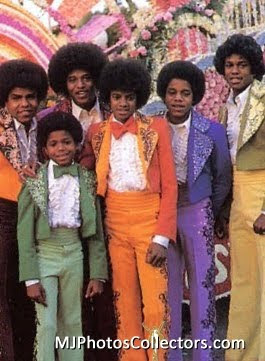 1974 - The Jackson 5 attend The Tournament of Roses Parade in 1974. Better known as the Rose Parade, it is "America's New Year Celebration", a festival of flower-covered floats, marching bands, equestrians and a college football game on New Year's Day, produced by the non-profit 'Pasadena Tournament of Roses Association'. 1994 - Michael attends a Barbara Streisand's concert at the MGM Grand Garden in Las Vegas with friend Mike Milken. This entry was posted on 01 January 2011 at Saturday, January 01, 2011 and is filed under 1972, 1974, 1994 . You can follow any responses to this entry through the comments feed .